The National Traffic Safety Committee yesterday announced in seven days of Tet festival, 218 traffic accidents killed 195 people and injured 199 others, a year-on-year decrease of 41 percent on accidents, 4 percent on deaths and 52 percent on injured people. 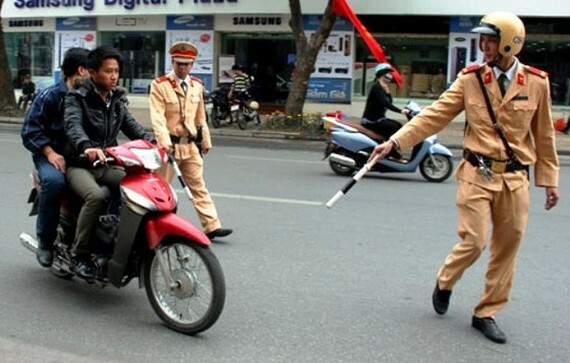 Traffic wardens handled 19,022 violations issuing fines to collect VND12 billion ($528,374) and withdraw 1,104 documents in seven days. According to the committee, there has been no severe traffic congestions and reduction of accidents, death and injured people. No river accidents has been reported. Most of serious accidents involved in buses. Worse, accidents rose in December 30, the first and the second days of the year as per lunar calendar by motorbike drivers in urban districts. To keep traffic order in festive season, the committee ordered the Ministry of Public Security and related agencies to increase patrol and handle traffic violations. They should issue harsh penalties on violators especially drunk drivers and those without helmets. Furthermore, the committee urged to send more police officers to districts where organize festivals. Additionally, the Transport Ministry was assigned to tighten control on transport activities especially in the North - South route and transportation to locations of festivals.